Less than a month after a federal judge in Brooklyn ruled the U.S. government had to make the “morning-after” emergency contraception pill available to anyone without a prescription, rather than those 17 and older, the F.D.A. 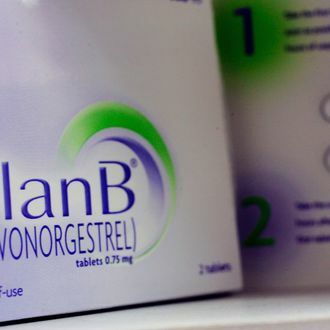 announced it had approved the pill for sale to anyone 15 and older. The decision made no mention of the judge’s April 5 ruling, the New York Times noted. “The F.D.A. and the White House said Tuesday that the Department of Justice was still deciding whether to appeal the ruling, something it can do independently of the drug agency’s decision on Tuesday.” The FDA decision also makes the Plan B One-Step pill available in drug stores outside pharmacy hours, but not without proof of age.